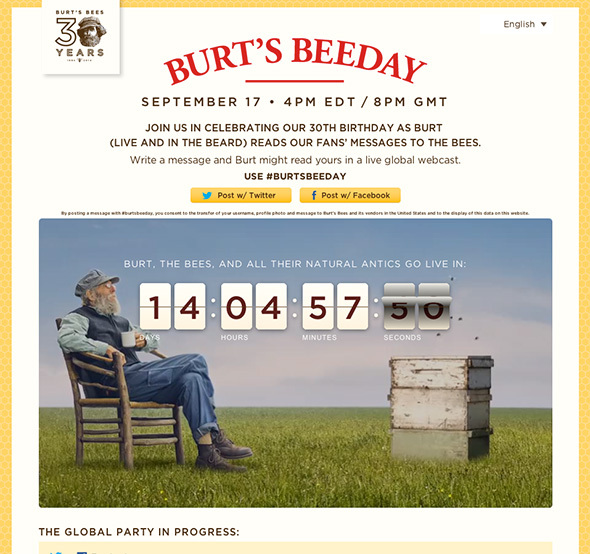 Solarsilk worked with Baldwin& and Burt’s Bees to create a responsive site to host a live YouTube streaming event for Burt’s Bees 30th anniversary. The site was responsive, used geolocation and included translations for 4 languages. 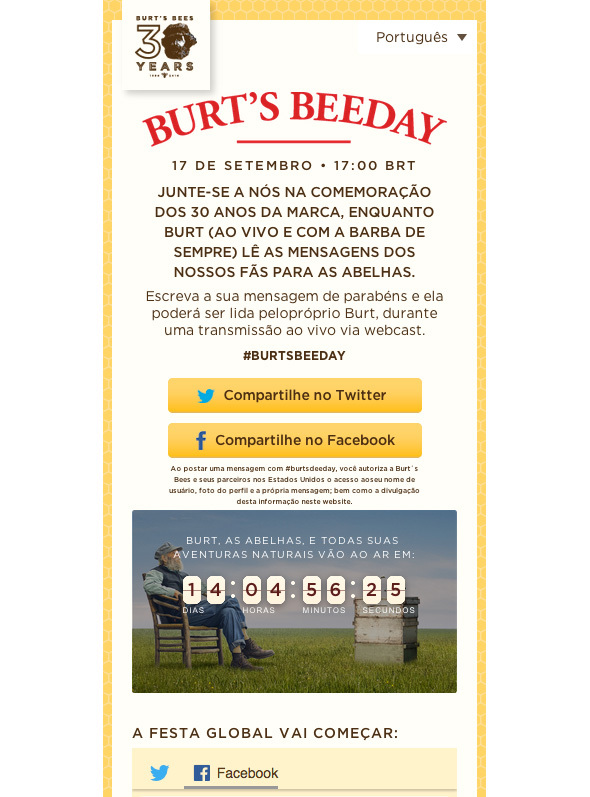 The Spredfast social media aggregator was used to collect and display Facebook posts and Tweets using the hashtag #burtsbeeday.